07/25/2018 Washington, D.C. (International Christian Concern) – International Christian Concern (ICC) has learned that on July 24, the Medan District Court in Indonesia sentenced Martinus Gulo to four years in prison and a fine of 1 billion Rupiah (approximately 68,914 USD) for religious defamation. He may also choose to serve an additional six months in jail if he cannot afford to pay the fine. Christians only account for roughly 10% of Indonesia’s population, while 87% of the country is Muslim. 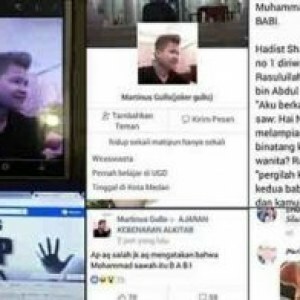 Gulo’s conviction comes after an Indonesian Muslim was jailed for five years in April under the same law for a Facebook post that radical groups deemed offensive. The verdict was lighter than the prosecutors’ demand of five years in prison. Gulo and his legal counsel have five days to appeal the decision.